The family walks will be conducted in Letsatsing game park bordering the Pilanesberg National park but still within the boundaries of Sun City. It is a 700Ha reserve with plenty of wildlife such as Wildebeest, Impala, Sable antelope and Nyala and much more not to forget about all the smaller creatures, critters and bird life. 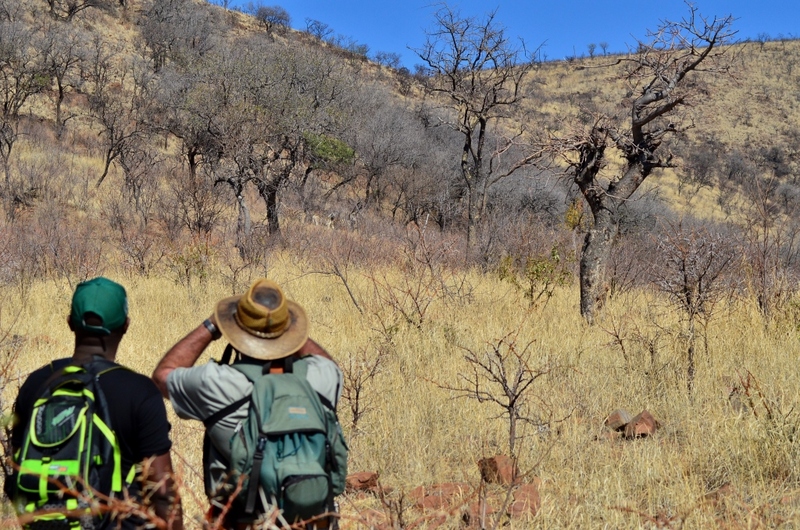 While doing this activity one of our qualified field guides will collect the guests at the departure point and proceed to Letsatsing game park. Once in Letsatsing guests and our guide will disembark from the Game Drive vehicle and the bush walk will commence. Going as close to the animals without scaring them away or disturbing them too much. We will then also focus a bit more on the behavior of the different animals and look at certain aspects that they leave behind like tracks, dung, and signs that we might pick up on them. Inclusions – Includes a Guided tour with a qualified field guide and bottled water.